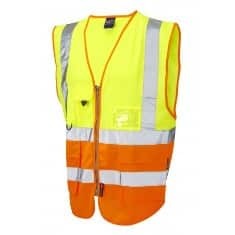 We are Impact Workwear Limited a limited company registered in England and Wales – Company registration number: 04215614. Our website address is: https://impact-workwear.co.uk. Impact Workwear Limited take the security of your data seriously. The information you supply is only used by us to enable trading with you. Your data is never sold or passed on to a third party without your permission. Cookies are text files stored on your computer hard drive. These collect internet log information and visitor behaviour information. This information helps us to improve our website. Some of the cookies we use are required to ensure the website and all of the features on it work correctly. We use Google Analytics to analyse how our website is used and to track the performance of different products and departments. DPD Local the carrier we use to ship your orders. We will hold your data for as long as necessary to fulfil the purposes we collected it for. We are also required by UK tax laws to keep your basic personal data (name, address and contact details) for a minimum of six years from the final invoice date, after which all will be destroyed by deleting any electronic copies and the shredding of any paper copies. If you have an account on this site, you can request to receive an exported file of the personal data we hold about you, including any data you have provided to us. You can also request that we erase any personal data we hold about you. This does not include any data we are obliged to keep for legal purposes.